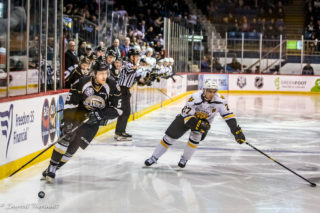 For the third straight game, the Charlottetown Islanders played their style of hockey and came up short in the end. 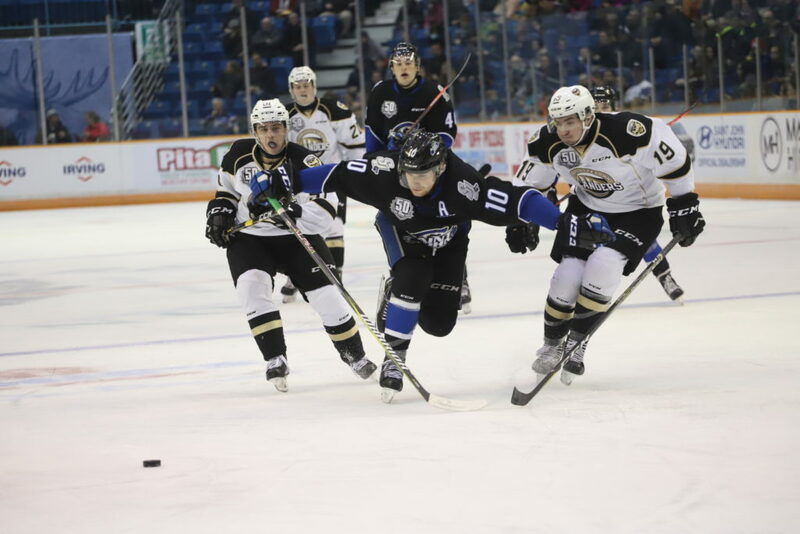 The Isles would fill the scoresheet for the first time this week, notching five on the Saint John Sea Dogs. Unfortunately, Nicholas Deakin-Poot scored a hat trick, including two straight goals in the final few minutes of the game, and the Sea Dogs ended an 11-game losing streak with a 6-5 overtime victory in front of a home crowd. While Charlottetown dictated the majority of play in the first period, it was Saint John who would get on the board first. Maxim Cajkovic would get a piece of a Benjamin Gagne point shot in front of Isaak Pelletier, giving the Slovakian forward his team-leading 16th goal of the season. As the period neared it’s end, Hunter Drew would tie the game up with a hard wrister from the point that would get past Sea Dogs starter Zachary Bouthillier. For Drew, that would be his eleventh goal of the season. Nicholas Deakin-Poot would give the Sea Dogs the lead with his 12th goal on the year with seconds left in the first, giving the Sea Dogs a one-goal lead heading in to the dressing room for the first intermission, despite a bevy of opportunities by the Islanders throughout the period. The opportunities finally became goals for the Islanders in the second, a welcome reprieve for a team that had been offensively starved over the past few games. Thomas Casey tied the game up midway through the second thanks to a sweet feed from Nikita Alexandrov. Casey roofed the puck on Bouthillier in tight on the goaltender for his 12th of the season. Jeremie Poirier quickly responded not even a minute later to give the Sea Dogs the lead once again, but they wouldn’t hold it until the end of the period this time. 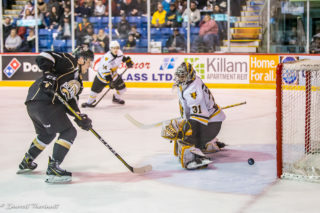 Jordan Maher would let a cannon of a wristshot loose that blew past Bouthillier to tie the game nearing the end of the period, and Liam Peyton would give the Islanders the lead late in the second with a deflection off of a Hunter Drew point shot. The Isles would take a 4-3 lead in to the third period. The Isles would extend the lead in the third, finally scoring on the powerplay thanks to Hunter Drew. His third point of the game was a wrister from the point that beat Bouthillier for his 12th of the season. The Isles looked like they were going to head home with the two points; however, Deakin-Poot would put his team on his back. The big 19 year-old would score twice late in the third period to send the game to overtime, stunning an Islanders team who controlled the pace of play for the majority of the third. As the game rolled in to the extra frame, the teams went back and forth trading opportunities. the Sea Dogs, though, would take advantage. Filip Prikryl would get sprung on a breakaway and beat Pelletier five-hole to seal the victory for Saint John. 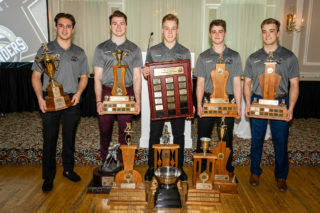 Brendon Clavelle, Kevin Gursoy, and Thomas Casey would join Drew as Islanders with multi-point games. Jeremie Poirier would also post three points in the victory for Saint John. 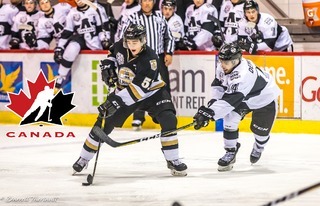 The Islanders and Sea Dogs won’t have to wait long to face each other, as Saint John ventures across the Confederation Bridge this Wednesday, February 13th at 7:00pm. Don’t forget that it’s Winning Wednesday! Redeem your ticket from the Victoriaville Tigres game on January 30th for a free ticket to this Wednesday’s game! If the Isles beat the Sea Dogs, you’ll get another free ticket to our next Wednesday game! 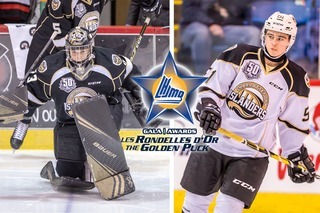 Purchase your tickets at the Eastlink Centre box office, by phone at 902-629-6625, or online at https://boxoffice.eastlinkcentrepei.com.